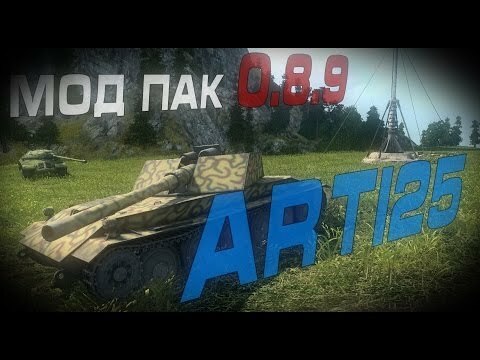 Mod pack of Arti25 — a small collection of useful additions to the game World of Tanks. Arti25 user for a long time did not please us with new versions modpaka, and finally it happened. Download the latest version of modpack Arti25 for WoT. Removal of darkness into sniper mode. Standard panel damage equipped Logue of the damage. Minimap with larger icons tanks. Rose more functional teams (key «Z»). Famous zoom-modes (commander’s chamber), which allows the camera zoom out as far as you want it.